Good news for residents normally affected by Hurricanes!! According to the National Oceanic and Atmospheric Administration’s (NOAA’s) Climate Prediction Center the 2015 Atlantic hurricane season will likely be below normal. NOAA released its predictions this week, May 24-30, which is National Hurricane Preparedness Week. But lesser storms that don’t reach hurricane force can still be a major factor for coastal areas. For the hurricane season, which officially runs from June 1 to November 30, NOAA predicts a 70% likelihood of six to 11 named storms (winds of 39 mph or higher), of which three to six could become hurricanes (winds of 74 mph or higher), including zero to two major hurricanes (Category 3, 4 or 5; winds of 111 mph or higher). There also is a 20% chance of a near-normal season, and a 10% chance of an above-normal season. The outlook for the Eastern Pacific and Central Pacific basins is reversed, however. For the Eastern Pacific hurricane basin, NOAA’s 2015 outlook is for a 70% chance of an above-normal hurricane season. That outlook calls for a 70% probability of 15 to 22 named storms, of which seven to 12 are expected to become hurricanes, including five to eight major hurricanes. For the Central Pacific hurricane basin, NOAA’s outlook is for a 70% chance of an above-normal season with five to eight tropical cyclones likely. For the 2015 hurricane season NOAA’s National Hurricane Center has created a new prototype graphic for storm surge watches and warnings, which will highlight areas along the Gulf and Atlantic coasts of the United States that have a significant risk of life-threatening inundation by a storm surge from a tropical cyclone. 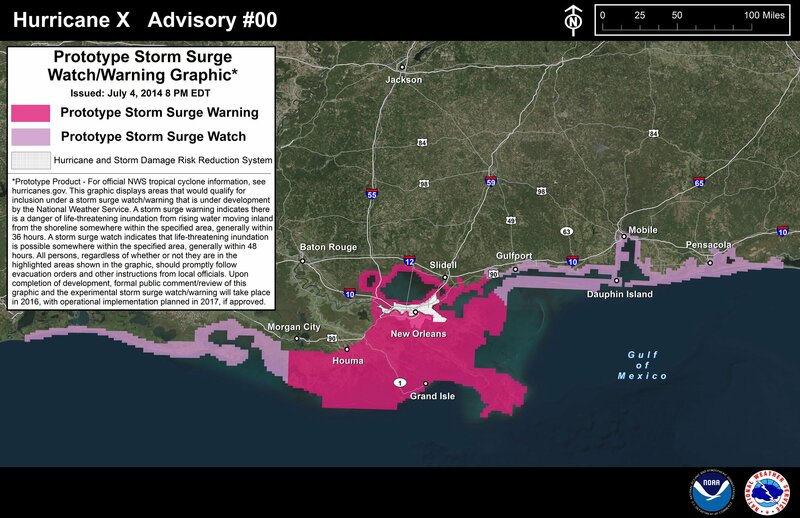 The new graphic will introduce the concept of a watch or warning specific to the storm surge hazard. As you may recall from Superstorm Sandy in 2012, the most damage was caused by the confluence of two high tide cycles during a full moon causing record high tides. 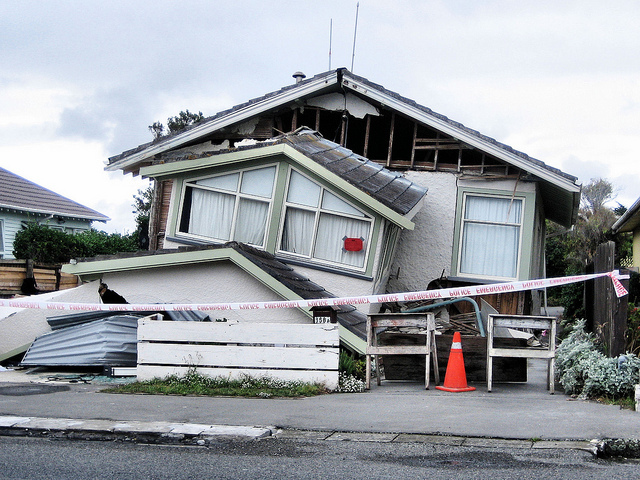 Having separate warnings for these two hazards should provide emergency managers, the media, and the general public better guidance on the hazards they face from storm surges. NOAA will issue an updated outlook for the Atlantic hurricane season in early August, just prior to the historical peak of the season.